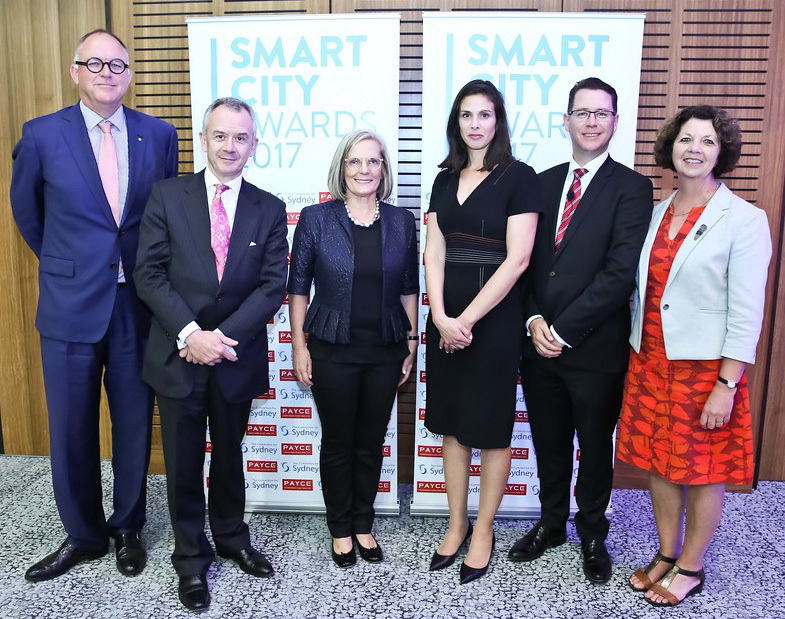 At an event held on Thursday 19 October 2017, the winners were announced for the Committee for Sydney’s inaugural PAYCE Smart City Awards. The Awards were created in partnership with PAYCE to provide a platform to celebrate projects and partnerships that address the fundamental challenges faced by cities, governments, communities, industry and the ICT sector in Sydney, as well as promote, advance and implement efficient design, planning and delivery of urban environments and services through the use of information and communication technology. RAISE is a city analytics tool that enables users to rapidly estimate and visualise property values against spatial data like land zoning, proximity to services and transport. The tool rapidly calculates the uplift effect of new infrastructure on property prices at land parcel level and will help Government agencies to realise better infrastructure outcomes for Sydney’s citizens. It’s already being used across Western Sydney for 600,000 land parcels spanning 4 LGAs. Liverpool City Council for the automated section 149 certificates. Liverpool City Council issues more than 6,000 s.149 Planning Certificates necessary when selling, purchasing or developing properties in NSW. In the past this process required council staff to issue and manually review the certificate. By repurposing GIS and secondary data sources, Liverpool has fully automated this process, reducing the turnaround time from 5 days to 5 minutes. Ask Izzy is a free, location-based mobile website that helps homeless Australians each night to find food, shelter and other support services. Almost 80% of people who are homeless own a smartphone and now they can search more than 350,000 services across Australia to find help nearby. It’s free to use on the Telstra network, has had over 500,000 searches in the first 18 months, and helps feed information back into the system to understand service demand and uncover service gaps. Transport for NSW for the Public Transport Information and Priority System. For Sydneysiders it is now standard and expected that we have real-time information about public transport services – but this is a relatively new innovation and is by no means standard around the world. PTIPS real time data provides locations for Sydney Trains, NSW Trains, Light Rail, Ferries and Buses that feed all the transport real time apps including Google Maps. TfNSW was the first and currently only agency globally to provide real-time passenger numbers for the public travelling on buses, including how many people are on board and when it is predicted to arrive. Now, 1.8 million people use real-time information per day. PAYCE and The Committee for Sydney congratulate all nominees and winners.